Götz Hillig and his search for the true Makarenko. What did he find? Summary: Beginning in the twenties of the previous century, the writings of Anton Semjonovitch Makarenko, an educator who was born in the Ukranian part of the former Russia and mainly spoke and wrote in Russian, attracted much attention among educators not only in the Russian-speaking world and in communist states but also in the Western world and other countries. He lived from 1888-1939, which means that the bulk of his writings were published in the Stalinist period of the Soviet Union. The most detailed investigations into his writings and professional and private life were accomplished by the West German researcher Götz Hillig (born 1938) at the University of Marburg. He dedicated his professional life to the famous educator and produced a critical edition of Makarenko’s important works together with a multitude of analyses and commentaries covering most of the disputed questions regarding his life and work. To most of them he found a convincing answer. So far, Hillig’s immense, yet diversely published work has not been explored to see which new picture of Makarenko can be drawn from Hillig’s scrutiny. He himself did not finish this task as he focussed on delivering a fully clarified basis of texts and a complete history of Makarenko’s life. This article underpins the necessity of drawing conclusions from Hillig’s works and gives a first idea of the change in our picture of Makarenko which flows from Hillig’s work. Zusammenfassung (Dietmar Waterkamp: Götz Hillig und seine Suche nach dem wahren Makarenko. Was hat er gefunden? ): Seit den zwanziger Jahren des 20. Jahrhunderts zogen die Schriften von Anton Semjonovitch Makarenko die Aufmerksamkeit in der russischsprachigen Welt, in kommunistischen Staaten und auch der westlichen Welt und weiteren Staaten auf diesen Erzieher. Er stammte aus dem ukrainischen Teil des früheren Rußland, sprach und schrieb aber überwiegend in der russischen Sprache. Sein Leben währte von 1888 bis 1939, das bedeutete, daß die Mehrheit seiner Schriften in der stalinistischen Periode der Sowjetunion veröffentlicht wurde. Die detailliertesten Untersuchungen seiner Schriften und seines beruflichen und privaten Lebens wurden durch den westdeutschen Forscher Götz Hillig (geb. 1938) von der Universität Marburg vorgenommen. Er widmete sein berufliches Leben dem berühmten Erzieher und brachte eine kritische Edition wichtiger Werke heraus, außerdem eine Vielzahl von Analysen und Kommentaren zu den am meisten diskutierten Fragen seines Werkes und seines Lebens. Für die meisten dieser Fragen fand er überzeugende Antworten. Bis heute ist das große, aber in unterschiedlichen Veröffentlichungen verstreute Werk Hilligs nicht unter der Frage betrachtet worden, welch neues Bild von Makarenko sich aus seinen Forschungen ergibt. Er selbst gelangte nicht bis zur Beantwortung dieser Frage, weil er sich auf die Aufgabe konzentrierte, eine geklärte Textbasis und einen geklärten Lebenslauf herzustellen. Der vorliegende Artikel unterstreicht das Erfordernis, Schlussfolgerungen aus Hilligs Arbeiten zu ziehen, und deutet an, welcher Wandel im Bilde von Makarenko sich aus Hilligs Forschungen ergeben würde. Аннотация (Дитмар Ватеркамп: Гетц Хиллиг в поисках настоящего Макаренко. Каковы успехи поисков? ): С двадцатых годов двадцатого века работам педагога Антона Семеновича Макаренко уделялось внимание в русскоязычных странах, в коммунистических странах, странах западного мира и других государствах. Макаренко, родившийся в Харьковской губернии, в основном общался и писал на русском языке. Годы жизни Макаренко: 1888 – 1939. Это означает, что большая часть его трудов была опубликована в период сталинского правления. Западно-германский исследователь Гетц Хиллиг из Марбургского университета (род. в 1938 году) предпринял попытку подробнейшего изучения работ Макаренко, его профессиональной и частной жизни. Хиллиг посвятил свою профессиональную деятельность знаменитому педагогу, издал целую серию работ о его наиболее значительных произведениях, кроме того, опубликовал большое количество материалов с анализом и комментариями к наиболее часто обсуждаемым вопросам творчества и биографии Макаренко. На большинство этих вопросов Хиллиг нашел убедительные ответы. Большой научный капитал, накопленный Хиллигом, «рассеян» по отдельным публикациям, и до сих пор не изучался специалистами на предмет того, каков же «портрет» Макаренко, созданный Хиллигом по результатам его исследований. Сам Хиллиг тоже не пришел к ответу на этот вопрос, поскольку был в первую очередь сконцентрирован на задаче создать точную платформу трудов Макаренко и максимально прозрачно выстроить его биографию. Настоящая статья подчеркивает необходимость научной рефлексии над результатами исследований Хиллига и показывает проекции, через которые может сформироваться обновленный взгляд на жизнь и творчество Макаренко. Götz Hillig´s lifelong research on Makarenko is certainly the most impressive achievement of an individual researcher in Comparative Education in Germany. For some of the years Siegfried Weitz and Irene Wiehl also participated in this monumental task. They were the so-called ‘Makarenko’ research team and a part of the Comparative Education Research Unit which Leonhard Froese had installed at Marburg University in 1968. Up to now, the community of comparativists in Germany has not answered the question of how the picture of Makarenko was changed by Hillig’s research. In the 1950s and even more so at the beginning of the sixties the picture of Makarenko in Germany was ambivalent. On the one hand, there was the appraisal of some comparativists such as Gerhard Möbus and Horst E. Wittig who interpreted Makarenko against the background of the political system then prevalent in Russia (Möbus, 1959; Möbus, 1965; Wittig, 1961). Makarenko, in their view, had helped to prepare young people for the utopia of a communist society. The criticism from the side of fundamental Roman Catholic educationalists (Feifel, 1963; Nastainczyk, 1963) was similar. On the other hand, there were educationalists who conceded that Makarenko distinguished between politics and education (Adolphs, 1962; Rüttenauer, 1965). They credited Makarenko with genuine inspiration in the world of education. The overall reserved attitude towards Makarenko in West Germany was cracked open astonishingly by Leonhard Froese. He knew communism from experience and had fled from the Soviet Union, more precisely from the Ukraine, after finishing school. Froese was under twenty when he arrived in Germany and had to serve in the German army. Severely wounded, he left the Wehrmacht and started his university studies in 1944. Seventeen years later, in 1961, he was appointed Professor of Education at Marburg University, after writing his main work on the development of Russian thinking in education. He designed this work in analogy to the work of his academic mentor Herman Nohl in Göttingen who had written a book on ‘the German movement’ which dealt with German intellectual history in the nineteenth century, especially the history of educational ideas. For Froese, the Russian idealistic movement was at its height in the liberal writings of Tolstoi. Froese believed that it was Makarenko who carried the liberal thinking of late 19th century Russia into the communist era. Some of his doctoral students counted Makarenko among the classic figures in education and compared him with Pestalozzi. Froese smoothed the way to a new interpretation of Makarenko, among others he drew the young Götz Hillig, born in 1938, to his chair and gave him a lifelong task. Hillig acquired both languages which were involved, Russian and Ukranian in both forms: oral and written. The intellectual climate in West German universities and also in some other West European countries in the second half of the sixties was favourable to a new picture of Makarenko. Students were open-minded towards ideologies based on Marxism, they wished to understand Bolshevism better and willingly accepted the idea that there had existed an educator of universal standing in the Soviet Union. In the understanding of this person East and West could meet on equal terms. And yet, also in Western countries experts had to rely on the Makarenko edition which was edited in the Soviet Union, specifically in Moscow. The first edition of the Collected Works appeared in the years 1950-52 (seven volumes) and was issued by the USSR Academy of Pedagogical Sciences (APN). This edition became the widely-used textual basis for Makarenko readers in the world, being translated into several languages. Yet, this publication situation implied dependency with regard to the selective work of the Russian editors. From edition to edition in the decades after World War II the Makarenko texts underwent changes in accordance with changes in political ideology. This was also the case with the German translation of the Russian edition from 1950-52 in the GDR. Froese and his co-workers in Marburg disliked this state of affairs, they wished to create a solid basis for academic work on Makarenko. Their planning was bold enough: they wanted to issue a new edition of Makarenko’s works in Russian (where necessary, also in Ukranian) and a new German translation: a bi-lingual edition of all his works. In addition, a new academic and scientific biography was to be produced. The courage to start such an undertaking resulted from Hillig’s initial work and partly from Weitz who had shown that texts in Makarenko’s hand existed which had not been taken into consideration in the Moscow edition, and – even more important – that many texts in the Moscow edition had been revised by the Moscow editors in favour of their thesis that Makarenko was the outstanding educational figure of the Soviet Union. Prior to the academic editors, Makarenko’s widow, Galina S. Sal´ko, had manipulated Makarenko’s manuscripts in a similar way, in order to augment his posthumous fame. After Makarenko´s death she guarded his estate closely and only handed the manuscripts over to the official archives – handwritten or typed – one by one. As early as the 1960s, experts could see that sound research into the source material would bring about a new text basis and a changed picture of his life and personality. Yet one fundamental assumption was shared by the Western and the Russian Makarenko experts and this had not been verified so far, i.e. that Makarenko was so important that he was worth this effort. Hillig all the more respected this uncertainty the longer he worked, keeping an intellectual distance and was wary of vindicating Makarenko, knowing that new archive materials could change the findings. The factual knowledge was limited when he began and he focussed his effort on widening it. His mentor Froese, in contrast, appeared fully confident when he stated in 1966 that Makarenko was ‟the most interesting pedagogical figure of our century” (Froese, 1966, p. 314). No other Makarenko researcher equalled Hillig´s perseverance, nor his rigour nor his gift for detective work and no-one else left such an oeuvre on the theme of Makarenko. In the 1960s and 1970s, pedagogy in West Germany and other Western states was fortunate to be able to refer to Makarenko as a representative of Soviet pedagogy, his work permitted the study of a way of education that fitted into a socialist or even communist society. The topic was needed in university classes and also school classes, in order to meet the strong interest in socialist ideas and revolutionary practice at the time. The topic of Makarenko brought pedagogy in tune with the times in Western countries, i.e. the then centrality of Marxist and socialist ideas which indeed were manifold. The subject of pedagogy had something to offer to students in turbulent times. The prominence of this topic also guaranteed financial help for Hillig’s research trips behind the iron curtain. Comparative Education also enhanced its reputation with the help of the ‘Makarenko theme’, and this was the case with the whole field of education in the academic world. Leonhard Froese was one of the founding members of the section ‘Comparative Education’ in the German Society of Educational Science. Besides Froese, other professors were able to integrate the ‘Makarenko’ theme into the political and intellectual history of Russian education. One of these was Oskar Anweiler at Bochum University who characterised Makarenko as one of the few Russian educationalists who had emerged with pedagogical innovations. In the GDR of those years and even later no genuine research on Makarenko existed, but more than a few educators introduced practical aspects of Makarenko’s pedagogy into schools and young people’s education. Hillig’s intention was not directed towards the systematic interpretation of Makarenko´s pedagogy, but rather the reconstruction of texts and a new edition of Makarenko`s works, and, in addition, a new biography, all of which was to consume all his time and energy. A systematic analysis, however, was very much on the minds of Siegfried Weitz, Hillig’s colleague, and Wolfgang Sünkel, an educationalist in Erlangen, both of whom accompanied Hillig’s work. Yet, as long as a reliable text basis was lacking, every systemic interpretation had to be premature and Hillig avoided perpetuating the interpretations of the seventies. When in 2004 he published an article under the heading: ‟Anton Semjonowitsch Makarenko – was bleibt?” he meant “What can we say for sure about Makarenko’s biography?” (Hillig, 2004). However, his editorial work remained incomplete. For all German scholars and students desiring to go deeper into Makarenko, this fact is a big obstacle. This is also true of Russian readers, for a large part of Makarenko´s writings they cannot but go back to the Soviet edition of the eighties. So must German readers with the GDR edition from the seventies with respect to all writings which were not translated and edited afresh by Hillig. The completion of the work that Hillig brought forward may not be possible, because there appears to be no-one who can match Hillig’s work. The edition of Makarenko´s Collected Works in Marburg remains a torso, Makarenko´s scholarly biography was not written. (Parts of such a biography can be found in: Hillig & Weitz, 1976; Hillig, 1980; Hillig, 1989a; Hillig, 1998; Hillig, 1991; Abarinov & Hillig, 2000.) The editions and translations issued in Moscow and in East Berlin are still indispensable for researchers of all countries. This is painful as Hillig revealed the shortcomings of these editions. Only as far as the Marburg edition contains the same texts as the Moscow and East Berlin editions do, or as far as the Marburg edition is the only place to find a Makarenko text, may we speak of a reliable text. In other cases, researchers must consider a text to be at least partly not concordant with the original manuscript. So far, we are also missing an account of the progress in understanding Makarenko which Hillig has brought about. As long as this desideratum is not fulfilled, the temptation will continue to reproduce the interpretations of the sixties and seventies. What has Hillig achieved for a sound interpretation of Makarenko´s pedagogy in Germany´s educational community? I can only try to make an attempt at an answer in this article. Hillig´s discoveries. In the field of comparative education researchers intend to transcend the community of the own language or of that language in which the object of studies has emerged. Hillig often gave speeches at conferences in Russia and the Ukraine especially and published in journals in those countries. His most formidable publication is a collection of his 61 articles which were originally issued in Russian and Ukranian. It is an 800-page volume in a format larger than usual: DIN A 3. Hillig entitled it ‟On the way to the true Makarenko (1976 – 2014)” [Unterwegs zum wahren Makarenko]. He submitted this opus to the Pedagogical University of Poltava where Makarenko had formerly completed his studies to teach at secondary level. Poltava University granted Hillig the equivalent of a German ‘Habilitation’. Later, the Habilitation (i.e. the permission to hold lectures) was bestowed upon Hillig by the School of Education at the University of Marburg. As a comparativist, I tried to find a scientific or scholarly reason for the unfinished state of Hillig’s editorial work on Makarenko – i.e. a reason which is within the scholarly discipline itself. It is rooted in the tendency of mutuality which is inherent in comparative education. It especially plays a role when a scholar is focussed mainly on studying one country – as a foreigner. The deeper a researcher enters the educational phenomena of a country other than his or her own and the more a researcher thinks and writes from the background of a language area different to his or her own, (meaning in most cases: different from the mother tongue), the more the researcher wants to speak in this language area and finally also to have an impact on intellectual or even political discussions in the country which is the object of research. In the long run this motive may outstrip the intention to explain the foreign object to the research community in the own country. Standing on the border between two language areas the researcher must keep a balance. The prospect of confronting foreign colleagues with a new picture of a well-known phenomenon in their own country seems to be more worthwhile than presenting the object to colleagues in one´s own country who need basic explanations to understand the deeper meanings of events in a foreign country. In the case of Hillig the opportunity must have been attractive to deliver a better textual basis to the Russian and Ukranian colleagues in order to explore Makarenko. The comparativist whose research is focussed on one country may in the long run be drawn across the border, as it is alluring for a foreign expert to address the community of scholars who speak the language of the topic of research. To gain awareness in the foreign community of researchers is obviously more challenging than to convince the scholars in the own language community of the distinctiveness of own research outcomes in a research area which is only sketchily known in the own country. Götz Hillig intended to give German researchers a ‘new’ Makarenko. Indirectly the Russian researchers could profit also, above all they could help to generate a new Russian edition of Makarenko’s writings which would lay the groundwork for a new German edition. From the beginning of his work Hillig expected a new Russian edition which indeed was released in the eighties (eight volumes). This was somewhat late, but more important was that it disappointed him. The considerable number of his own new findings were not included, although he had repeatedly published them in journals in Russian and German. He usually sent these publications to the journal of the Russian Academy of Pedagogical Sciences (APN). They reacted only in private conversations, officially they rejected the efforts to work towards a ‘new’ Makarenko. Their defensive, head-in-the-sand attitude was shared by their colleagues in the GDR. One of the most knowledgeable colleagues was Werner Kienitz of the East Berlin Academy of Pedagogical Sciences who co-operated with Hillig after 1990 by proofreading his translations from Russian to German, yet in the community of the former Academicians who had meanwhile gathered in the new political party ‘The Left’ (Die Linke) he was not prepared to recognise Hillig’s merits. He could only bring himself to describe his colleague as ‟the enterprising Hillig” (Zukunftswerkstatt Linke Bildungspolitik, 2008). Even someone who is only an outside observer of the German studies of Makarenko will feel hurt by this attribution. Hillig did not want to steal Makarenko from the educationalists in Russia nor in the GDR, he offered co-operation many times, he informed them of his findings – so comprehensively, in fact, that he chided himself for his openness and described his expectations as ‟naive” yet he could not overcome the Soviet taboo on the Marburg endeavour. Hillig accompanied the successive appearance of the eight-volume edition in Moscow with critical comments, especially intensive ones for the volumes 1 and 2 which were issued first. In the years before he had criticized the forerunner edition which became widespread in its second version of 1957/58. He had substantiated deformations of meaning, omissions, newly-formulated interpositions, factual errors and writing errors in this thitherto valid seven volume edition. Now in the eighties, he hoped to see numerous amendments considered in the new Russian edition and also his published discoveries from archives where he had researched. The new Russian edition was pre-empted by the Marburg edition which was bilingual, also in eight volumes, planned as the beginning of a more comprehensive edition entitled the ‟Collected Works”. When the first volumes of the Marburg edition had appeared, it remained questionable whether both editions could ever be fused. How long the Marburg editors had hoped to unite both teams and editions into one is not known. The fact that the Marburg edition was bilingual in a nearly exact juxtaposition of the Russian original text and the German translation illustrated the will of the Marburg editors to influence both communities of Makarenko commentators. Hillig undertook painstaking textual criticism of the Moscow editions, not only that of 1950/52 (abbr. to Sočinenija – seven volumes) in first and second edition, but also that of 1983-1986 (eight volumes). The seven-volume edition was the basis of the knowledge about Makarenko in many countries. The editors of the eight-volume edition in Moscow indeed eliminated some errors and included some newly-found texts, but then Hillig’s textual analyses nevertheless showed that a considerable number of distortions outlived the purification of the texts and others were even newly added. The distortions were mainly politically motivated and aimed at maintaining the propagated picture of Makarenko as the greatest Soviet pedagogue (Hillig, 1984a). The interest in a scholarly satisfying critical edition was still low. Hillig’s critical works are numerous and apply to all parts of the latest Moscow edition. He also ascertaining and safeguarding d the shorthand texts of Makarenko’s lectures which he found in archives and provided evidence of the divergencies of the Makarenko series published by the University of Lviv (former Lvov) under the aegis of Fedir Naumenko. Especially the Sočinenija of 1957/58 literally mutilated Makarenko’s lectures. The Soviet edition claimed to include all the publications issued in Makarenko’s lifetime, yet some publications during his lifetime remained undiscovered, others were dropped when they proved inopportune. For example, the latter fate befell Makarenko’s attacks on the Educational Science of his time in the Soviet Union. Hillig’s greatest effort was needed to verify the numerous editorial interventions in the editions of 1957/58 and of 1950 to 1952. Only in the lecture of March 1st, 1939, entitled ‟Communist education and communist behaviour” did Hillig succeed in substantiating 300 interventions – in a text of 75 typoscript pages. Whole passages were eliminated in other texts. Hillig’s meticulous way of establishing the original texts as exactly as possible may be seen in the procedure that he applied to those texts which were Ukranian in the original, yet reproduced in the Soviet edition only in Russian. He translated the Ukranian originals which were preserved in archives, into Russian or asked a native speaker to do this independent of the official Russian version to which he compared the new translation. This is how he became aware of certain tendencies in the official Soviet translations from the Ukranian into Russian with regard to Makarenko’s texts. The eight-volume Marburg edition appeared between 1976 and 1979, at least four years ahead of the Soviet edition. Hillig makes use of introductions to each volume and of footnotes in the texts to explain specific questions in the texts, either concerning the status of the texts or their contents, especially the discrepancies to the corresponding versions of the Moscow edition. Hillig published articles in German journals in order to comment on his decisions in textual questions. Some of these articles were also published in Russian journals. Hillig experienced painful disappointments when his critical text analyses were neglected by the Moscow editors and not a single one of them was willing to work with him on ensuring the authenticity of the texts. From today’s knowledge this looks like a continuation of the defeats which Makarenko himself had suffered and now also the most energetic preserver of his works had to undergo. Similarly disappointing for Hillig was the fact that no co-operation with the East Berlin translators and editors of Makarenko’s works (1959-1963) was achieved. However, Hillig’s work was not ineffective, because leading GDR educators decided to abstain from a second GDR edition of Makarenko`s works in the eighties. Nevertheless the GDR editors agreed with their Russian colleagues not to comment on the Marburg edition officially. Hillig held the editorial practice in Moscow responsible for a selective cognition of Makarenko’s educational beliefs. The latter’s sceptical and even hostile attitude towards the family as an agent of socialisation was hardly known, just like his sceptical and negative attitude towards school as an educational institution (Hillig, 1984b). Hillig showed us that Makarenko was an advocate of residential accommodation and education, respectively education in so-called colonies if they followed his methods. 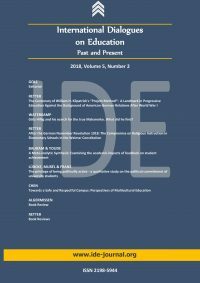 Makarenko’s canonisation as the Soviet educator par excellence after 1940 hampered the knowledge of this educator because some of his statements and texts were sacrificed (Hillig, 2001) in favour of promulgating the picture of the ideal educator. In the thirties Soviet educational theory in general executed a turnaround in favour of family and school and Makarenko paid tribute to it only superficially, e.g. he declared the family to be the basic collective in society, yet this application of the most important of Makarenko`s concepts (the collective) is absurd if Makarenko`s understanding of this concept is taken seriously. Hillig elaborated that for Makarenko ‘collective’ is not a sociological concept but only understandable in the context of his pedagogical methods (Hillig, 1984a, p. 279 f). Hillig perceived it as a tragedy that he was alone with the immense task of working on the textual criticism of Makarenko’s collected writings. He ascertained, for example, the texts which were part of the early editions of the Pedagogical Poem and were discarded in later editions or – in a few cases – re-integrated. This started with the three-part series in the Russian yearly periodical Almanach, 17th and 18th year. More publications of the Poem followed as books: 1934/ 1935/ 1936: as a book in three parts, 1934/ 1936: as a book in two parts, 1935/ 1936: a Ukranian edition, which was not so much abridged as the Russian editions. These text passages are now to be found in the West German journal ‟Pädagogik in Ost und West” beginning with the 1974 volume. Unfortunately, this journal was abandoned in 1993, therefore this textual material is only conserved in some libraries. Hillig shows that abridgements in the second part of the Poem were also initiated by Maxim Gorki who wished to make the text more intensive. In 1937 – twenty years after the October revolution – a new make-over edition of the Poem was published in one single book which was taken into the Collective Works in 1950. Meanwhile, so-called Soviet patriotism was officially supported and many ironical or sarcastic statements by Makarenko aimed at the contemporary state of society were eliminated. Inner-Soviet criticism of society could then either arise from general anti-Soviet criticism or from Stalinist criticism of his communist predecessors and rivals or was anti-Stalinist. Makarenko was not a Communist in the sense of the Bolsheviks, yet he was not anti-Stalinist, on the contrary, he rather felt that some of the Communist intelligentsia of the twenties were his enemies. Hillig’s critical work on the text of the Poem helps us to recognise that the Poem – at least its first edition – was written and also published under pressure of time. Parts of the Poem went directly from Makarenko`s hand into print. The contents were obviously new and the linguistic presentation was stimulating, especially the many dialogues. The events which occur in the Poem belong to the first years of Stalin’s rule, nevertheless the Poem is not a Stalinist work and the author was not a Stalinist. Phrases which were inserted into later editions need to be deleted. The Marburg edition which contains the Poem in Volumes 3 to 5 is a purified version. Götz Hillig caused some embarassment to the East Berlin colleagues. They relied on the Moscow edition of 1957/58 (and earlier editions) but also knew about his textual criticisms of these editions and the Marburg translations of the Russian texts. Yet, they felt obliged to stick by the text of the Moscow edition and neglected the meticulous work that was done in Marburg, where he went back to the original texts, i.e. original manuscripts, typoscripts and first editions. Hillig reacted to their dilemma with empathy and pitied them. Although Hilllig reached strongly into the community of pedagogical scholarship in Russia and the Ukraine and managed to find individual supporters for his work and theses, the Marburg work remained taboo and received commentaries only in short polemics. This sidestepping was surely a defeat with respect to the expectations that had existed in Marburg, yet even more were Hillig’s ambitions disappointed by the abandonment of the Marburg edition halfway through. The original planning of the Marburg edition was scheduled for two sections, the first section comprising 13 volumes, mainly collecting Makarenko’s publications during his lifetime, the second section planned for 7 volumes, including his inherited works – pedagogical and literary, and also documents in Makarenko’s hand from his time as the head of the Gor`kij-colony and as a functionary of the Dzershinsky Commune. Additionally, there were diary notes which were planned to appear as a primary section publication in Marburg, and finally also letters. This was a fine programme and became Hillig’s life’s work, being temporarily shared by some colleagues. The volumes 1, 2, 3 – 5, 7, 9, 13 in the first section were published. Then the edition stopped. These volumes were published between 1976 and 1978. That was a considerably fast rate, considering that the founding of the Marburg Research Institute of Comparative Education, comprising the Makarenko research unit as one of its three pillars was the year 1968. Besides the Marburg edition, Hillig edited individual writings of Makarenko in journals. These contributions were intended to be parts of the full edition. Outside observers wondered during the seventies and eighties where Hillig had gathered his knowledge of the original scripts, i.e. handwritten, typoscripts, shorthand reports and primary publications (in journals). Hillig used a stay of several weeks in the Soviet Union subsidised by the German Research Foundation (DFG) and more trips there to work in archives in Moscow, Leningrad and Kiev and to meet Makarenko researchers working in Moscow libraries and archives. The archive CGALI (The central state archive for literature and arts in Leningrad) was his most important goal as it has a collection of Makarenko archive material which has been complemented over time by his widow Galina with works from Makarenko’s legacy, not all of them untreated by her. Hillig’s relatively early access to valuable documents and his success in obtaining copies, mostly photographed, were Hillig’s trumps in the production of the Marburg edition. He enjoyed support from Soviet, Czech, Polish and Hungarian colleagues and slowly created a fund of documents which grew into the Marburg Makarenko archive. This is now preserved at Bremen University. In the preface to the Marburg Makarenko edition Hillig named seven libraries supporting him, let aside archives. He worked in no less than in the archives in Moscow, Leningrad, Char`kov, Kiev and L’vov. The Marburg edition was accompanied by a series entitled ‘Opuscula Makarenkiana’, which between 1984 and 2003 amounted to 25 titles. They treat individual occurences and problems in Makarenko’s life and work. Nearly all of them were written and published by Hillig who for most of them presented new findings from archives. As the volumes are mostly bilingual (Russian and German) some of them have book size (e.g. Hillig, 2003). This issue, however, is an exception because it is only monolingual, namely Russian. Another example is Nr. 12 which documents Makarenko’s conflicts with representatives of Ukranian Social Education (Feb./March 1928), Marburg, 1991, 178 pages. The documents refer to Makarenko’s transition from the Gor’kij-colony to the Dzershinsky Commune. They are in both versions, Russian and German, opposite one another. The book provides 10 documents from these two months in the year 1928 following Hillig’s method: parallel bilingual, detailed textual criticism in annotation, description and verification of source; the Soviet variants of these ten documents are also presented bilingually. Hillig could thus document how these 10 documents had been presented in Soviet publications. There are appendices with a register of names and a register of locations. The present-day reader gains insight into the conflicts which Makarenko underwent, learns about Makarenko’s statements and by this about his perceptions and beliefs. The reader learns about the handling of Makarenko’s texts by Soviet editors. The German reader can form a picture of Makarenko which is more detailed than those pictures from the hitherto existing editions. The 25 volumes of ‘Opuscula Makarenkiana’ contain several texts which are commendably edited and could have been inserted into the Marburg edition of Makarenko’s collected works. Unfortunately the 25 issues are available only in few German libraries. The plan of 20 volumes for the Marburg Makarenko edition indeed looked to be a huge task, yet needed not be out of reach for Hillig and his co-operative friends, as is proved by the amount of Hillig’s publications. Little consolation comes from the fact that the Russian edition of 1983-1986 failed to achieve the self-imposed aim of 9 to 10 volumes when it eventually came in with 8 volumes. The responsible scholars in the Academy of Pedagogical Sciences in Moscow apparently wanted to reply to the anouncement from Marburg and drew a line without exact substantiation. If the Marburg researchers had at least completed the first section (Volumes 1-13) of the planned edition of 20 volumes, present-day researchers would be in a better position. Of course, the second section (7 volumes) promised to be equally important, as can be seen from Hillig’s publications. Yet, the attained state of the Marburg Makarenko edition makes it difficult for researchers to comment in an informed way on the subject of Makarenko. Hillig’s plentiful textual criticism publications are of great scholarly value and should be considered whenever possible. However, at the same time, it unsettles present-day readers because they wonder which Makarenko texts are reliable beyond those clarified by Hillig. It may happen in some cases that Hillig’s admirable work discourages individual researchers and hampers the discussion on Makarenko. No one who is interested in Makarenko likes to become stuck in textual criticism questions. Many of them are answered in Hillig’s work yet the lack of a scholarly checked complete edition in German will impede the discussion on Makarenko. A Hillig redivivus will not appear. Hillig’s ambition to create a bilingual Russian-German Makarenko edition may look like entering into a competition with the Russian editors. Although this impression is in some ways true, nevertheless Hillig hoped for a long time during his work on Makarenko that not only his Russian counterparts would understand this as an offer of co-operation, but also the other researchers beyond the river Elbe, as well. It is true that he intended to deliver a new text basis for all Makarenko researchers in the world, yet he hoped for a willingness to cooperate among the Russian editors. Perhaps, he waited too long for a sign from Moscow. He had a rather strong position, yet despite this his wooing led more and more to a defeat the longer he waited. When from a certain point of time, he knew that he could not win, his position became weaker and weaker. The time was not yet ripe. Leonhard Froese communicated in May 1968 to the interested public that the publisher in Ravensburg had dropped the project ‘Makarenko’s Collected Works’ for financial reasons and that no chance existed for another way of financing. At this date the fate of the Marburg edition was already sealed (Froese, 1989). Seen from today, it is hard to understand that further financing could not be procured. One would have expected this of Froese. Obviously, the financial burden of such a bilingual edition had not been foreseen – or some colleagues in the unit believed too optimistically in cooperation with the Moscow editors. The crucial question for the Makarenko-Hillig topic is: Which new traits of a ‘true’ Makarenko picture can be identified by the reader of the German texts in Hillig’s edition and his publications? Do the sources which Hillig published change the colouring of the picture? The preparedness to look at Makarenko as an historically extraordinary pedagogue was widespread among many educationalists in West Germany until the eighties of the 20th century, and was no weaker in the states under Soviet influence. Yet, in recent years, voices have been heard in Germany, repeating some of the criticism of the fifties (leaving aside the Roman Catholic view of that decade). One of the critical authors is a journalist from the town of Schwerin in Mecklenburg named Manfred Franz. He wrote a chapter in an edited volume, which is entitled: Beschädigte Seelen: DDR-Jugend und Staatssicherheit, published in 1996 (Informal translation: Damaged Souls: Youth in the GDR and the State Secret Police). His chapter is headed: A.S. Makarenko, der Hauspädagoge des sowjetischen Staatssicherheitsdienstes und sein Konzept der kommunistischen Kollektiverziehung (Informal translation: A.S. Makarenko, the favourite pedagogue of the Soviet Security Police and his concept of Communist training for collectivism) (Mothes, 1966, pp. 20-37). Manfred Franz is a well-informed reader of Makarenko’s works. He did not refer to the works of Hillig, yet he may know at least parts of them. Instead he cited the GDR edition of the eighties. As the heading of his chapter says, he is convinced that Makarenko’s pedagogy subserves Stalinist rule. So was the Swiss educationalist Karl Kobelt. His PhD dissertation of 1996 was headed ‟Anton Makarenko – A Stalinist Pedagogue. Interpretation against the Background of Russian-Soviet Educational Policy”. The dissertation was accepted by the University of Basel by the much appreciated professor of East-European History, Heiko Haumann. Kobelt made use of the Marburg edition and appended annotations of several of Hillig’s publications to his work. His verdict on Makarenko as a Stalinist is sustained throughout his book. His method, however, of identifying structural analogies between Stalinist ideology and Makarenko’s pedagogy is weak evidence (Kobelt, 1996). Even in Russia after Communism, an educationalist condemned Makarenko as a pedagogue who worked and wrote for the Communist Party and its secret policy. In the case of Jurij Petrovitch Asarov (1931 – 2012) the negative attitude towards Makarenko resulted from his religiosity. It seems as if no-one in former West Germany stood up for Makarenko in order to preserve the positive image which had prevailed in West Germany since the sixties. Obviously, the preparedness to defend Makarenko had been impaired. Only some of the educationalists who were formerly active in the GDR made replies and spoke up for a more differentiated picture of Makarenko. Several of them meanwhile work together in the political party ‘Die Linke’ (The Left) (Zukunftswerkstatt Linke Bildungspolitik 2008; Günther-Schellheimer, 2014). Günther-Schellheimer recalled that Makarenko’s pedagogy also played a role in the post-Stalinist period which was ruled by the Stalin critic Khrushchev, because under Khrushchev upbringing in boarding schools and character forming by manual work were emphasized (Günther-Schellheimer, 2014, p. 160). Educational ideology changed during the decades under Stalin and Khrushchev. The change under Khrushchev might have been brought about by the intensive propaganda for Makarenko’s pedagogy after Makarenko was declared the most important educator of the Soviet Union. It was abandoned after Khrushchev’s resignation. The search for the true Makarenko remains a task for the science of education. Makarenko’s image varies between Stalinist and humanist. Hillig collected all of Makarenko’s statements on Stalin from 1936 which undoubtedly stem from Makarenko himself (Hillig, 1998; Hillig, 1989c). Most of these statements were not unknown, but then only little-known because more than a few were deleted in later editions. For those of Hillig’s friends who tried to classify Makarenko in a theoretical manner – mainly Siegfried Weitz and Wolfgang Sünkel – the attribute ‘s talinist’e was no option at all, they evaluated Makarenko’s laudatory statements on Stalin as self-protection. Yet, obviously, not all of them were enforced and some are startling. From where stems the rigour with which Makarenko wanted to settle up with enemies of Stalin and from where does the devotion of some of his addresses to Stalin come? Are these reactions part of his character? Sure enough, many people were scared then, as every unit in society had to deliver denunciations according to predetermined figures, and in 1936/1937 the terror had reached unprecedented dimensions. Also Makarenko himself was fortunate to escape a dangerous denunciation (Hillig, 1995). Hillig did not excuse or discharge Makarenko. He offers a partial explanation for Makarenko’s avowals to Stalin by the loss of Makarenko’s protector, Maxim Gorki, who died in June 1936 in Moscow. Hillig made no attempt to interpret Makarenko’s pedagogy with respect to the history of educational theories, he would have found such an undertaking premature. He saw his task as ascertaining and safeguarding the text basis and clarifying the biography. The intended scholarly confirmed biography was not completed, yet a multiplicity of events and situations has been described in the 25 volumes of ‘Opuscula Makarenkiana’. In total, Hillig helped to relieve Makarenko of the attitude of admiration which came up in German pedagogy in the 1960s and 1970s, yet he did not favour a one-dimensional valuation. The German interest in Makarenko emerged in the 1920s – within the so-called humanities-based school of pedagogy (geisteswissenschaftliche Pädagogik) which was headed by Herman Nohl – the academic teacher of Leonhard Froese. Yet, Makarenko’s thinking on pedagogy was rather afar from this German tradition, it did not fit into the categories of the geisteswissenschaftliche Pädagogik and its philosophical orientation. Makarenko’s approach to pedagogy was not an academic one, it was an emergency approach, an existential answer. For Makarenko, pedagogy was in essence a struggle which was inescapable, and Makarenko accepted it. For him, the position of an academic pedagogy was principally inappropriate. The Olympus of the self-appointed pedagogical thinkers, in his opinion, had to be encountered with mockery and sarcasm. The adoption of the struggle which was unavoidable, obviously brought him closer to the Bolshevik Party, although he did not join their ranks. The letter which Makarenko wrote to Fedor Borisov on 15th July 1938, a former inhabitant of the Dzerzhinsky Commune, documents his outlook on the world at that time (Hillig & Weitz, 1968). Only some months before his death he asked to be affiliated with the Communist Party of the Soviet Union, yet Makarenko’s death prevented the Party officials from dealing with his request. Ten years earlier Makarenko’s preparedness for struggle led him into a conflict with influential persons in the field of education in the Ukraine. He reproached them for still cultivating a bourgeois concept of education in order to close their eyes to the inevitability of struggle. After the Stalinist turn in interior policies Makarenko felt he was the winner of this quarrel. It is true that Makarenko repeatedly failed in his struggle, yet, he also had successes, for instance, the recognition of the Gorki Colony as an experimental facility and a model in the year 1923. Later he failed with the Gorki Colony in Poltava and in Kurjash near Charcov and finally abandoned it to its fate after he had drawn the 60 best colonists to the newly-founded Dzershinsky Commune (Hillig, 1994). In this however, he failed also, and soon he wished for nothing else but to get away from there when the heads of the Commune restricted his competencies. In order to be able to leave the Gorki Colony, he had tied himself to the State Secret Police (NKVD) of the Ukranian Soviet Socialist Republic (Ukranian SSR) who had founded the Dzerzhinsky Commune. His dream and aim remained Moscow, he wrote many more texts in Russian than in Ukranian. Subsequent to his work in the Dzerzhinsky Commune he changed to the administration of the Ukranian Work Communities in Kiev. Finallly in 1937, he and his wife managed to move to Moscow where he got a positon in the Moscow association of writers. From then on he wanted to be a writer, however, this was a hard way of earning his living and he suffered pecuniary difficulties. The writings that followed the Pedagogical Poem did not only meet acceptance, but also harsh criticism from a literary point of view. Makarenko did not fail completely, he was strong and wise enough to find a way out of difficult situations. His widow Galina, who had joined the Communist Party early and worked in the Commissioners’ Office of Education in the Ukranian SSR, assumed the task of stylising her deceased husband as the Soviet pedagogue per se, which must have seemed an impossible task from the beginning. However, she found supporters, especially professors like Ivan Afanasjevič Sokoljanski, Valentin Vasil’jevič Kumarin and Konstantin Semenovič, and furthermore Alexander Alexandrovič Fadeyev from the Soviet association of writers. She reached her aim in a relatively short time. Hillig put Makarenko in the framework of his time – when the regime became totalitarian and changed into despotism. Hillig avoided romanticising Makarenko, he avoided comparisons, yet saw Makarenko as a singularity and not as an example or a case for anything more general. The most difficult question certainly is whether Makarenko can be adjudged as credible in his writings, i.e. that he described real events, real characters and real pedagogical actions and that he made his real motives recognisable in his writings. During his writing of the Poem, i.e. from approx. 1930 to 1934, there were enough reasons to restrain from showing one’s personal thinking and behave carefully. Communist rule showed its ruthlessness initially towards the peasants. Hillig showed that Makarenko understood how to adapt his biography to the then current pressures. The efforts of adaptation that were necessary in the thirties in the Soviet Union can hardly be imagined today. However, it can be presumed that Makarenko in his friendship with Maxim Gorki created a space for frank speech. We may conclude that in their friendship Makarenko could be more credible than in other relationships. In his letters to Gorki he should have spoken in a more unconcealed, direct and truthful way than in any other writings. As Gorki mostly lived in Sorrento in Italy in the twenties and thirties, the communication between both men had to take place as an exchange of letters. Götz Hillig edited the correspondence between Gorki and Makarenko diligently in a bilingual presentation. Only 50 years after the death of both writers the correspondence appeared unrestrained and unchanged. The Soviet and East German Makarenko editions did not pay much regard to textual criticism. Between 1982 and 1986 Hillig was allowed to receive copies (photocopies) of the letters in the Gorki archives of the Institute of World Literature at the Academy of Sciences of the USSR (IMLI) in Moscow. He issued all the then known letters completely, they stem from the years 1925 to 1935 with a break from 1929 to 1932 (Hillig, together with Newskaja, 1990). Hillig’s edition (together with Newskaja) will be cited here by referring to page numbers. This edition could also have been part of the Marburg ‘Collected Works’ which were broken off. The ten years from 1925 to 1935 were important for Makarenko who had to battle for a position in Soviet society. In the years 1926 to 1928, Makarenko faced the difficulty that he wanted to leave the Gorki Colony at Kurjash, although the colony still bore the name of Gorki and he had reported his successes among the young people there to Gorki. Nevertheless, he wrote to Gorki that he was surrounded by a ‟sea of sloppiness and parasitism” (54). This sounds extremely unkind with respect to an institution which he had so often praised and which was his own creation. The help that Gorki offered him to improve his situation by making use of his connections was refused by Makarenko with a strange argument: his respect for Gorki was too great to confront him with the difficulties in the colony. This should sound humble, but, in fact the undertone seems to say that Makarenko did not wish Gorki to visit the colony. However, Gorki identified the colony with his name, and he would not understand if Makarenko guided him into the newly-erected Dzershinsky Commune. Makarenko would have liked this because the Kurjash Colony no longer seemed to be representative, it could throw a bad light on Makarenko. As there was no escape from this dilemma, Makarenko started to paint a positive picture of Kurjash again. How distorted is his argument by which he tries to extricate himself from this contradiction: ‟You need not help us; our struggle is too trivial to draw your name into it.” He bends over backwards in self-denial against his patron who esteemed him highly. This is not a credible attitude. Another attempt at escape is Makarenko’s information that ‟they” (the impersonal pronoun) savaged him because of his pedagogy. ‟The fault of it is only and alone that it stems from me and is not put together from stereotypes. It needed to come to this point.” (55). The heroic attitude of the solitary fighter standing against a superior enemy pleases him. Even more, he rejects any interference by Gorki because he does not want to be dependent on Gorki’s interventions. He is the hero who sacrifices himself – a nearly egomaniacal pose. And he deepens his contradictions: on the one hand, ‟they” shout against him, the heretic, on the other hand, ‟they” (he disguises the Ukranian Commissariat for Education into someone anonymous) offer him the leadership of additional colonies. His egocentrism requires admirers and also enemies, whereupon the thinking of the enemies must appear devious or even absurd. The present-day reader might assume that these enemies were political, yet nothing indicates this. Makarenko did not fight rising Stalinism nor Soviet socialism. In the communication with Gorki Makarenko’s self-disclosure aims at preparing his patron gently and in a psychologically smart way for his intention to leave the Gorki Colony, because he could not afford to lose this protector. For Makarenko it is not only a pleasure that Gorki will visit him in the colony, in a certain way it is also threatening. The edifice of staginess, exaggerations and even lies could break down, if Gorki gained insight. Makarenko constructs a talk with his opponents for Gorki which is not credible. Allegedly, his opponents have turned against him because he keeps to the values of discipline, duty and honour. They reproach Makarenko for neglecting class awareness in the colony. Makarenko on his part interprets their reproach as the expectation that he should make the students parrot the textbook. A realistic reason for Makarenko to decline Gorki’s help is his wish to quit the Gorki colony. However, he hides his plan from Gorki. He prepares arguments of which he will make use later. He has to remain a hero for Gorki and he boasts how strong he is in Kurjash with 400 ‘Gorki babes’, at the same time lamenting that he was finished. He has to get his 400 youngsters through ‟under conditions of most bitter destitution”. At the beginning of the year 1928 it was clear that Gorki might come to the colony. Makarenko writes: ‟We expect you in the colony.” (57). Makarenko wants to guard against disagreeable conversations and confesses ‟an error” to Gorki: he did not inform Gorki that the colony had received 16,000 rubles from the authority, instead he had suggested that the authorities were neglecting the colony. He asks for Gorki’s pardon for non-information. This is the moment when he also feels the need to disclose to Gorki his recent commitment to the Dzershinsky Commune which had existed at the latest from December 1927. In his own wording it sounds like this: ‟In December they (impers. pronoun) gave me the Dzershinsky Commune additionally und immediately started yelling: Why employ the Gorki system there, too?” Makarenko’s phrasing is strange: ‟They” gave him the commune – as if this happened against his will. They gave him that and immediately started to yell. They did not shout at Makarenko but against the Gorki system. The enemies’ malice strikes Gorki himself! Makarenko’s depiction is in no way credible. The reader may shake his/her head about the logical twists in Makarenko’s description of the colony, yet the outcome is that Makarenko believed in his right to be deeply piqued. It is the pose of an unduly self-confident man who does not receive the appreciation he deserves. Gorki bears Makarenko’s inconsistent attitude and regards it as an expression of pride, he feels abashed because he is asked to stay passive in a situation when help is obviously needed. He concludes that the colony needs more money and sends them 20,000 rubles (it is still a time of inflation in Russia), and he promises to send music instruments for the brass orchestra in the colony. The cause for the gift of money seems to be the information in Makarenko’s letter of the 14th March in 1927 that the People’s Commissariat for Education of the Ukranian SSR granted the colony 11,000 rubles less in autumn than was normal (44). Gorki’s visit to the colony was delayed from June 1928 to July 1928. Makarenko writes to Gorki how much the colonists are looking forward to Gorki’s visit, but Gorki’s visit is to be a surprise for the inhabitants of the colony, so he does not tell them the exact date of the visit. He lets Gorki know that he would not circulate the date of his coming if Gorki mentioned it in a letter. The reason for not announcing the date is a matter of speculation. A welcoming event for the patron which would need preparation can be omitted. Did Makarenko still hope that Gorki would not come and cancel his visit? Then, Gorki arrives and stays in the colony for one night, not more – from the 8th to 9th July 1928. After this visit Makarenko raised the veil in a letter to Gorki – not earlier than the 22ndNovember 1928: Makarenko left the Gorki colony in Kurjash a few months after Gorki’s visit. Surprisingly, he reports that he crept out of the colony early in the morning before the colony awakened. Neither the children nor the colleagues got a good-bye from him. After that, he did not return to the colony. His justification fits the other explanations he gave: he wanted to prevent the children from crying. Yet, he also confesses: ‟All this diplomacy was in vain.” (62). Was he really so sensitive or did he want to hide that the colony was already falling apart and that he had lost the backing of the children and colleagues? This is a moment when the anonymous enemies come into sight again. In Makarenko’s view they play the personnel against each other, the older colleagues left the colony – to go anywhere. What were the accusations against him? Makarenko says: the older colleagues were charged with ‘Makarenko-ism’. The new director of the colony is – if we follow Makarenko – a chief of the children’s association, the ‘Pioneers’, who is illiterate (62). One of the ‘enemies’ is probably Chairman Arnantov of the Ukranian Central Committee on Social Education. This person – reports Makarenko – gave him an ultimatum: ‟Change to the common system of social education – or leave!” ‟Seriously – I could not ruin eight years’ work and the whole colony.” (64). Was it his generosity to abandon the colony – better than to destroy it in advance? Makarenko did not inform Gorki until four months after he had left the famous Gorki colony. Probably he did not know that Gorki had been informed earlier – by a letter from one of the colonists – as Gorki sometimes got letters from colonists (commentary by Hillig – p. 224). It seems that Makarenko had difficulties in contriving a proper legend. As early as the 8th September he had written a letter to Gorki in which he asked for a souvenir of Gorki’s visit to Kurjash, suggesting a pocket-knife, which the children would keep in his honour (commentary by Hillig – p. 223). Yet, he does not mention his abandoning the Gorki Colony at Kurjash nor his change to the Dzershinsky Commune (commentary by Hillig – p. 223). Nevertheless, according to Makarenko, his legacy remains indestructible. Four months after his departure, he tells Gorki know that his work in Kurjash is still stable: the departments, the commanders, the saluting, the interrelationships. Makarenko concludes: ‟For the downfall of the colony there existed no serious reasons.” (64). It looks as if it did not perish – in truth – only Makarenko disappeared. In his self-manifestation he remains a magnet. Later, after Gorki’s death in the year 1938, he writes that many of the colonists defected to the Dzershinsky Commune, and, finally, all of them, when they found out that Makarenko had become the director of the commune. These are the two sides of Makarenko. On the one hand, we hear him lament combined with absurd allegations, on the other, he sounds like an unassailable winner. In the above-mentioned letter to Gorki in 1938 Makarenko confesses that the Public Prosecutor of the District of Charkov intended to incriminate Makarenko because of the decline of the Gorki Colony. Götz Hillig considers this indication of Makarenko’s ‘failure’ to be realistic (commentary by Hillig – p. 226, 227). Gorki also intervened in this case on behalf of Makarenko, as he did before in order to help Makarenko to be re-appointed in his function at Kurjash, not knowing that Makarenko himself had worked for this change. Although Makarenko had laid a veil over the circumstances of his leaving the colony, the problem remained for Makarenko how to convey this fact to his benefactor. The colony bore Gorki’s name even though the namegiving was not sealed by any authority. When Moscow launched a plan to name a new colony after Gorki, Makarenko felt involved, but the plan was not put into action. Hillig attested Makarenko several times that he exaggerated highly in his letters to Gorki, but the word ‘exaggerate’ only partially describes Makarenko’s linguistic manoeuvres. Gorki himself explained Makarenko’s conflict with the Commissariat for Education in Kiev as resting on a nationality dispute between Ukranians and Russians with Makarenko being a russophile Ukranian. Nonetheless Gorki is disappointed. He writes to Makarenko on 1st January in 1933 that the colonists were no longer reacting to his letters. I know nothing about them. What a pity! What good children they were there!“ (73). Now, finally, disappointment has arrived on Gorki’s doorstep, yet he does not yet know how much the letdown is due to Makarenko. Makarenko reacts to this letter the same day when he reads it. He clarifies nothing but sets out a new ‘perspective’, unfolding his plans to be a writer and begging Gorki’s sponsorship. A writer from then on was to be his new profession, and he admits that he has relinquished the youth colony and Kurjash especially. At this moment he confesses that the colony was a big strain for him. Gorki adapted to the new situation und started the endorsement for the writer Makarenko. It is to Hillig’s merit that a complete edition of this exchange of letters is available. He also published Makarenko’s letters to his wife Galina and Makarenko’s pocketbook. The exchange of letters with Gorki is of interest regarding Makarenko’s credibility, because the relationship with Gorki created a space of openness, it was more protected than other communicative partnerships, mutual trust was possible. Although Makarenko, like all Soviet citizens of the Stalin period and especially those who played a role in public life, lived under immense pressure, the friendship with Gorki offered a unique opportunity for open speaking. From this point of view Makarenko’s statements are disappointing, even more so because they unmask him. He lacks the courage to induct Gorki into his plans, he builds facades and entangles himself in his lies. Yet, he knows how much he needs Gorki and that he must not lose his sympathy. So he manoeuvers, uses half-truths and lapses into silence over long periods of time. The picture of his positions in the institutions which he wants to convey to Gorki is by no means credible. A view from the present could put forward the excuse that Makarenko was reticent, because he did not trust Gorki’s closeness to the NKWD and even to Stalin himself, but there is no indication at the time of such a fear in Makarenko. Rather Makarenko seemed to share Gorki’s political views. The vision of being able to re-forge characters was common to both men. With Gorki Makarenko feels familiar enough to write frankly about the use of fists in the colony to oppress tendencies among the colonists which were directed against the community (45). The topic of fighting in the colony often caused quarrels with the ‘ladies’ of the Ukranian People’s Commissariate for Education, yet Makarenko denied these incidents and only entrusted the truth to a person he trusted and from whom he need not fear betrayal. And it seems that he conveyed this truth to Gorki with some pride. Nevertheless, Makarenko manoeuvers with the truth vis-à-vis Gorki. Gorki tolerated the inconsistencies and the doubtfulness of Makarenko’s statements and resumes the friendship and the patronage. Although he was Gorki’s protégé, Makarenko’s pretense and use of half-truths seem to have become his second nature. He manifests a considerable degree of egocentrism which probably warns people who know of this against easy trust in him. Hillig exercised restraint when analysing the person Makarenko and his pedagogy, his work was aimed at supplying a carefully compiled text basis and also factual basis which would help to carry out thorough analyses and even provoke them. He had no interest in reviving the attribute ‘Stalinist’ with regard to Makarenko and his pedagogy, however it came back through at least one serious author who knew Hillig’s work well. Hillig’s aim of gaining an unprejudiced view of Makarenko – the longer the more – not only dismantled the ideologically inspired interpretations in Communist countries, but also the idealistic ardour of his academic mentor Leonhard Froese even if this was not his intention. Is Makarenko a ‘classic’ figure in pedagogy? We lack a critical edition of Makarenko’s works. But we need not only rely on the eight volumes of the Moscow edition (1983-86) or on the translation of the former Soviet edition into German by the Academy of Pedagogical Sciences in the GDR (former German Democratic Republic [East Germany]), which was published between 1959 and 1975 by ‘Volk und Wissen’, we can also rely on the volumes of the incomplete Marburg edition which unfortunately comprises only a part of Makarenko’s works. This was undoubtedly a failure of the Marburg unit which was not able to accomplish its ambitious plan. They did achieve much on their way to their goal, their efforts were admirable, the premises to reach the goal were fulfilled, more than a few educationalists in Germany West and East and in other European countries were fascinated by the Marburg colleagues, especially by Götz Hillig. They all finally had and have to live with an unsatisfying result. What can be said about this undertaking now that a certain time has passed? This undertaking was surely meant to overcome the Cold War in East and West on one small front: in the field of pedagogy and, within it, in the one arena: the edition and the interpretation of the works of a famous pedagogue in the Soviet Union. The Marburg researchers came without the intention to alienate Makarenko from the Soviet Union who regarded Makarenko as their hero. Yet in the atmosphere of the Cold War they could not look at the Marburg plan as a neutral scientific undertaking. Froese had made them advances, yet this was not enough to establish an academic co-operation. Did the Marburg researchers really not foresee this hindrance? It is hard to decide what might have been possible if this project had been established at a high political level on both sides. Froese and his co-workers must have seen this difficulty and Hillig concluded that he would do as much as possible as an individual researcher. And he attained a lot. He got copies of numerous documents from libraries and archives in the Soviet Union. To those documents belonged handwritten scripts, typoscripts, newspaper articles, letters, first editions of books, articles in scholarly journals, diaries and notebooks. The libraries and archives were obviously prepared to regard Hillig as a normal user and researcher and they did not mind putting Hillig’s publications on their shelves. This was a treasure for Hillig’s project. The Marburg Makarenko Archives were well filled. The Marburg colleagues seemed to be close to their goal in the early eighties. Yet, the goal was not reached. The goal of a Moscow-Marburg co-operation in editing all of Makarenko’s works turned out to be too optimistic and not very realistic. Nevertheless, the bilingual Marburg edition need not be simply forgotten. The money that was needed to complete the edition could not be raised. Such an effort obviously could only be accomplished by researchers from several universities, i.e. West German universities. A financially-based co-operation between institutes of different universities was uncommon then and could only be arranged by a national organization like the German Research Foundation (DFG). Apart from the organisational difficulties, the co-operation between the professors of Comparative Education in West Germany was not close enough to unite all or several of them in one project. The Makarenko project was established as a Marburg project. Either Marburg succeeded or the project perished. After the publisher had resigned from the project, the financing for the one-man Makarenko research group in Marburg did not cease, that is why Hillig could go on publishing in journals and continue his series ‘Opuscula Makarenkiana’. In sum, the Makarenko research in West Germany was predominantly a matter of a few individuals, especially one – Götz Hillig. Shared and co-ordinated research activities were not to be seen, apart from some edited volumes with several authors who put together their articles. As strong as Hillig’s efforts were – common action was weak, especially with respect to securing the financing of the project. This was not a good position in contrast to the Academies in Moscow and East Berlin who felt they were the legitimate guardians of Makarenko’s legacy and who indeed watched over the documents and had the funds to bring out editions. It was ambitious of Froese and others to proclaim Makarenko as a classic figure in pedagogy. Most so-called classic figures in pedagogy were founders or at least stimulators of a specific branch of pedagogy, e.g. Froebel for kindergarten pedagogy, Pestalozzi for the elementary school (but also for adult education), others became famous for the pedagogy of the impaired child (e.g. Montessori) or as founders of specific schools or specific school subjects, e.g. physical education (GutsMuths). In the Soviet Union and the GDR, Makarenko was read as a practitioner and his pedagogy was applied there in children’s homes and in holiday camps, experiments were also carried out in schools. In West Germany Makarenko was mainly read as a practitioner who acted on the basis of a general theory, only Sozialpädagogik specialists regarded him as a social work education expert, especially with regard to home education. In East Germany Makarenko is today understood as a Sozialpädagogik specialist (Mannschatz, 2017). This gives him a specific position within pedagogy. What should a classic figure in pedagogy be? The so-called ‘foundations of education’ (German: Allgemeine Pädagogik) which is a basic discipline in the field of pedagogy, often deals with classic figures and understands itself as sustainer of a chain of legacies. For each one the question must be asked: What qualifies this person to be a classic? This question cannot be answered without considering personality. A small essay in this direction is my short analysis of the exchange of letters with Gorki which may give critical insight into Makarenko’s character. This is what educationalists can do – so many decades after Makarenko’s life. To employ a political attribute like ‘Stalinist’ is no help to pedagogical thinking. Pedagogical practice should not be described in political terms. We should look at Makarenko’s pedagogy as a variant of pedagogical practice. We know some facets of his pedagogy: disrespect of bureaucracy, a fixed picture of a hostile environment, self-apprehension of a lonely fighter who keeps course in the storm, collecting allegiances among the colonists, the voluntarism of action (in the interpretation of Kobelt): volatile, fierce, driving the big group by setting greater and greater aims, a pedagogy which tolerates or even stimulates physical violence with regard to the great aims of the group, which demands high effectivity in physical work in the interest of the big group, the use of lies and feint, it is a pedagogy in the struggle for movement in the big group, based on two attitudes: low esteem for the family as an institution for raising young people compared to collective upbringing in homes and colonies of young people and – finally – a critical attitude towards school. It is a pedagogy in an extreme situation applied by an impulsive but also reflective personality. Götz Hillig made a huge effort to find the ‟true” Makarenko. He did not claim to have reached his aim, yet found numerous new aspects. In the sixties and seventies many readers of Makarenko were convinced they knew who Makarenko was. Hillig made the experts realize that the ‟true” Makarenko was and still is unknown. Hillig’s achievement is undeniable. We now know that the truth about Makarenko is open, no- one should be too sure. On the basis of Hillig’s work a new search may begin, it will be challenging. Reading Hillig diligently may show us which continuations of his ‘road to Makarenko’ are possible. Abarinov, Alexander, & Hillig, Götz (Hrsg.) (2000). Die Versuchung der Macht. Makarenkos Kiever Jahre (1935-1937). Marburg: Opuscula Makarenkiana, Nr. 22. Adam, Horst (2014). Kritische Pädagogik. Fragen – Versuch von Antworten, Band 2. April 2014. Adolphs, Lotte (1962). A.S. Makarenko. Erzieher im Dienste der Revolution. Versuch einer Interpretation. Bad Godesberg / Bonn: Dürrsche Buchhandlung. Bundesarbeitsgemeinschaft Bildungspolitik der Partei „Die Linke“ (2008). Zukunftswerkstatt Linke Bildungspolitik. A.S. Makarenko. Beiträge zu seinem 120. Geburtstag von Volker Hoffmann und Edgar Günther-Schellheimer. Berlin. Feifel, Erich (1963). Personale und kollektive Erziehung. Versuche einer Standortbestimmung des katholischen Erziehungsverständnisses in Begegnung und Auseinandersetzung mit der Sowjetpädagogik bei Anton Semjonowitsch Makarenko. Freiburg-Basel-Wien: Herder Verlag. Froese, Leonhard (1966). 25 Jahre Diskussion um Makarenko. Versuch einer Bestandsaufnahme. In Pädagogik und Schule in Ost und West 14, H.10/11, pp. 309-330. Froese, Leonhard (1989). Zwanzig Jahre nach Vlotho – und keine Wende? Abschließende Bemerkungen. In Hillig, G., & Weitz, S. (Hrsg.) (1986). Makarenko-Diskussionen international. Protokoll des 2. Marburger Gesprächs (1.-4. Mai 1986). München: Minerva Verlag, pp. 275-277. Günther-Schellheimer, Edgar (2014). Zur Makarenko-Rezeption. In Adam, Horst (2014). Kritische Pädagogik. Fragen – Versuch von Antworten, Band 2. Hillig, Götz (1967). Makarenko in Deutschland. 1927-1967. Texte und Berichte. Braunschweig: Georg Westermann Verlag. Hillig, Götz, & Weitz, Siegfried (1968), in: Makarenko 68. Information aus dem Makarenko-Referat. Marburg. Hillig, Götz (Hrsg.) (1974 / 1975 / 1977): Textmaterial aus frühen Ausgaben des „Pädagogischen Poems“; 1. Folge: Pädagogik und Schule in Ost und West 22 (1974), H.5, pp. 155-160; 2. Folge: 23 (1975), H.2, pp. 39-48; 3. Folge: 25 (1977), pp. 10-13; 4. Folge: 25(1977), pp. 95-100. Hillig, Götz (Hrsg.) (1975). A.S. Makarenko. Reden im Höheren Institut für kommunistische Bildung (Sommer 1936). In Pädagogik und Schule in Ost und West (1975), H.4, pp. 113-117. Hillig, Götz/ Weitz, Siegfried (1976). Makarenkos Moskauer Jahre (1937-1939). Ein Überblick. In Pädagogik und Schule in Ost und West 24 (1976), H.1, pp. 56 – 64. Hillig, Götz, & Weitz, Siegfried (1979). Vorwort der Marburger Ausgabe. Nachgedruckt in Hillig, Götz, & Weitz, Siegfried (Hrsg.). Makarenko. Darmstadt: Wissenschaftliche Buchgesellschaft, pp. 568-573. Hillig, Götz (1980). Der andere Makarenko. Ergebnisse einer biographisch-historischen Untersuchung. In Zeitschrift für Pädagogik 26 (1980), 1, pp. 141-156. Hillig, Götz (1984a). Wie man sich in Moskau ein Wunschbild von Makarenko machte. Zur Editionspraxis der sowjetischen Akademie der Pädagogischen Wissenschaften (APN). In Ergebnisse und Perspektiven Vergleichender Bildungsforschung. Zur Funktion des internationalen Bildungstransfers. Minerva Verlag München, 1984, pp. 191-288. Hillig, Götz (1984b). Sankt Makarenko. Zur Editionspraxis der Akademie der Pädagogischen Wissenschaften der RSFR/UdSSR (1950-1983) (Deutsch-Russisch). In Opuscula Makarenkiana, Nr. 4, Marburg. Hillig, Götz (1989a). Geschichten aus der Zeit der Wirren. Vom Leidensweg des Schriftstellers Makarenko. In Opuscula Makarenkiana,Nr. 9, Marburg. Hillig, Götz (1989b). Leider ist das nicht „der ganze Makarenko deutsch“. Zur neuen Ausgabe der „Pädagogischen Werke“. In Pädagogik und Schule in Ost und West 37(1989), H.1, pp. 56-63. Hillig, Götz (1989c): „Mehr Wachsamkeit gegenüber Spionen, Schädlingen, Feinden!“ Makarenkos stalinistische Äußerungen in neuem Licht. In Paed extra/Demokratische Erziehung 2(1989), Heft 3, pp. 30-35. Hillig, Götz, zusammen mit Newskaja, Swetlana (Hrsg.) (1990). Makarenkos Briefwechsel mit Gor`kij. Kritische Ausgabe. In Opuskula Makarenkiana Nr. 11, Marburg. Hillig, Götz (1991). „Auf dem Gipfel des Olymp“. Dokumentation über Makarenkos Konflikt mit Vertretern der ukrainischen „Sozialerziehung“ (Februar / März, 1928). In Opuscula Makarenkiana, Nr. 12, Marburg, 178 Seiten, zweisprachig. Hillig, Götz (1994). Fürsorge, Kontrolle, Einmischung. In Opuskula Makarenkiana, Nr. 14, Marburg. Hillig, Götz (1995). Makarenko and Stalinism. Comments and reflections on a controversial topic. In Opuskula Makarenkiana Nr. 16, Marburg (22, XXI Seiten), zweisprachig. Hillig, Götz (1998). Makarenko im Jahr des „Großen Terrors“. In Opuscula Makarenkiana, Nr. 21. Marburg. Hillig, Götz (2001). Zu den Voraussetzungen der Kanonisierung Makarenkos. In Bildung und Erziehung, 54 (2001), pp. 39-53. Hillig, Götz (2003). The Poltava M. Gor`kij work-colony. – Polemics, Documents, Portraits (1920 to 1926). In Opuscula Makarenkiana, Nr, 25, Marburg. 326 pages (in Russian). Hillig, Götz (2004). Anton Semjonowitsch Makarenko – was bleibt? In Hörner, Wolfgang u.a. : Große europäische Pädagogen. Leipziger Universitätsverlag 2004, pp. 41-71. Hillig, Götz (2014). On the way to the true Makarenko (1976-2014). Poltava: Pedagogical University. Kobelt, Karl (1996). Anton Makarenko – Ein stalinistischer Pädagoge. Interpretationen auf dem Hintergrund der russisch-sowjetischen Bildungspolitik. Peter Lang Verlag Frankfurt am Main. Mannschatz, Eberhard (2017): Weiterdenken mit Makarenko? Siegen: Universitätsbibliothek. Möbus, Gerhard (1965): Unterwerfung durch Erziehung. Mainz: Verlag von Hase & Koehler. Möbus, Gerhard (1959): Psychagogie und Pädagogik des Kommunismus. Westdeutscher Verlag, Köln. Mothes, Jörn u.a. (Hrsg.) (1996). Beschädigte Seelen. DDR-Jugend und Staatssicherheit. Bremen: Edition Temmen. Nastaincyk, Wolfgang (1963). Personale und kollektive Erziehung. Katholisches Erziehungsverständnis in Begegnung und Auseinandersetzung mit der Sowjetpädagogik bei Anton Semjonowitsch Makarenko. Freiburg–Basel-Wien: Herder Verlag. Rüttenauer, Isabella (1965). A.S. Makarenko. Ein Erzieher und Schriftsteller der Sowjetgesellschaft. Freiburg – Basel – Wien: Herder Verlag. Wittig, Horst E. (1961). Anton Semenovic Makarenko. Ausgewählte pädagogische Schriften. Schöningh Verlag Paderborn. Zukunftswerkstatt Linke Bildungspolitik (2008). A.S. Makarenko. Ein stalinistischer Vollzugspädagoge? Der Pestalozzi des Sozialismus? Ein Che der revolutionären Weltpädagogik? Beiträge zu seinem 120. Geburtstag. In Die Linke. Bundesarbeitsgemeinschaft Bildungspolitik. Beiheft 2/2008. Berlin.